Hi! 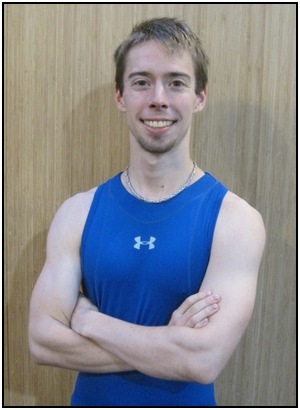 I'm Aaron McCloud, the personal trainer and online fitness coach who runs Complete Strength Training. I accept a limited number of people for online coaching. I believe that your body is a unique expression of yourself that you have crafted over the years. Your exercise, sports, eating, and lifestyle habits have created who you are today. This site covers a lot of information, but it definitely isn't one-size-fits-all. …Or Simply Want To Get Stronger! Having a knowledgeable guide can help you prevent injuries and stupid mistakes, and can give you advice specially tailored to your situation. It can also offer a different perspective on your training, which can be extremely helpful. Is it better to muddle around on your own? Taking the time to try to figure out your strength training and exercise issues from scratch? I can help you make rapid progress when it counts, and help you understand why it works so well. Your time is valuable - don't spend it running in circles. I've done that so you don't need to. Get focused, get committed, and get the help you need. We will discuss your exercise history and goals, and we will determine whether a coaching/client relationship is right for you. In each session we will review your results since your previous coaching session(s), define short-term and long-term goals, consider difficulties you've run into, and end with a list of objectives for you to accomplish before the next session. • Click HERE to leave 'Your Personal Online Fitness Coach' & go back to the Complete Strength Training Home-Page!